Daily Illuminator: Hello, Hong Kong! 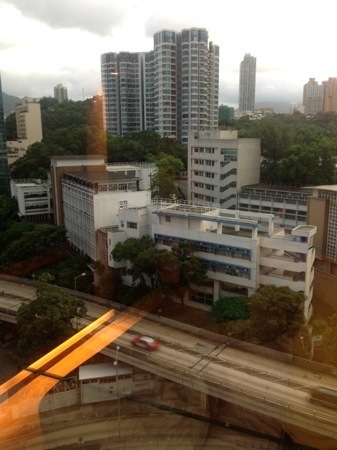 July 30, 2013: Hello, Hong Kong! Sam and I are in Hong Kong for, as I write this, three more hours . . . and then we head into China for a look at the Ogre Designer's Edition in assembly. Yesterday we spent time in the Hong Kong office reviewing the first production copy of the game and everything is looking fantastic; find pics and details in this Kickstarter update. I'm very happy with how the game has turned out and I cannot explain how good it feels to know that we're reaching the finish line. 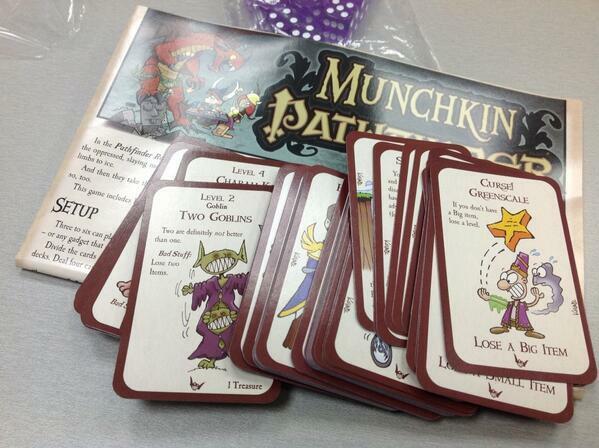 During our visit yesterday we also got a very close look at Munchkin Pathfinder and confirmed that we will have copies for sale at Gen Con in August. Hurray! So between Munchkin Pathfinder at the booth and Munchkin Tricky Treats at the official Munchkin Tavern (not to mention the exclusive Munchkin Tavern goodies) there will be plenty of new Munchkin fun for all! And on the "I'm a giant geek!" front, I've managed to get a little time to shop for toys and even introduced Sam and David to some of the fun toy shops in Hong Kong. As always, my www.battlegrip.com site is packed with photos and random nonsense for the toy fans who want to know more. With luck I'll have a strong enough net connection that my next report will be after we see the factory in China. And maybe I won't be quite as tired once I get a solid night of sleep in the incredible hotel we stay in when we're in China; it may very well be the nicest hotel I've stayed at anywhere in the world!